1. That the Lord will provide the students he has chosen to study at DTI this year, and that he will provide the necessary finance to support them in their studies. 2. For the staff at DTI that they maintain enthusiasm and encouragement that come from serving the Lord Jesus Christ. 3. For the students to keep up with the work load and also pray for their spiritual growth. 4. For DTI’s finances, particularly in trying to raise more support both locally and from overseas. 5. For new supportive relationships to be developed, in South Africa and internationally, which will enable DTI to carry out God's mission. ﻿As a non-profit organisation, DTI depends on donations from churches and individual supporters. We need your help to pay staff salaries; to maintain, furnish and equip classrooms, administrative buildings and the library; and to meet the general running costs of our institute. You may give either to Dumisani's general fund or designate your gift to a specific area of need. How can you help us? Contact us if you would like to arrange a visit, or volunteer at DTI. Please note DTI does not provide funding for such trips, and volunteers must cover their own expenses. DTI has welcomed various teams and guests to participate in maintenance projects, missions and outreach, and special seminars and conferences. 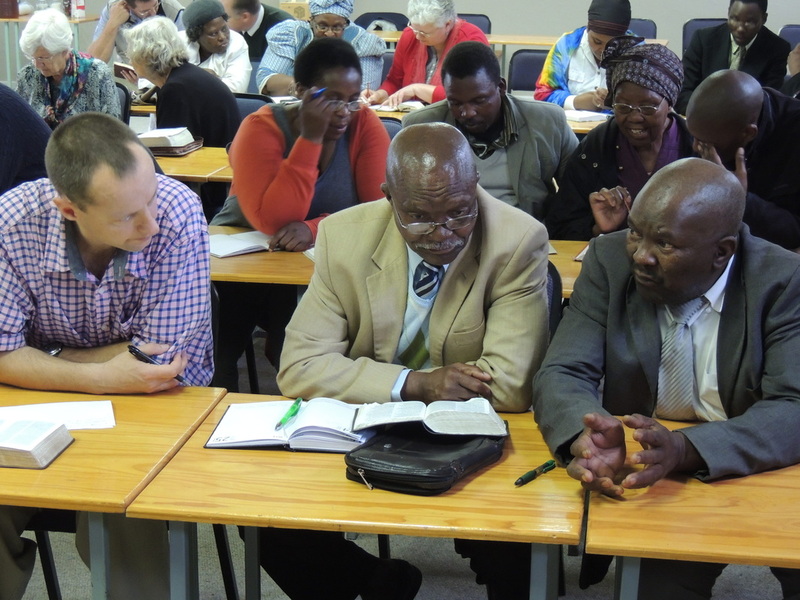 For example we had a team from CESA ( now also called REACH- Reformed Episcopal Anglican Church) in Fish Hoek, SA; we had Dr. Carl Mosser from Indiana, USA doing seminars on Mormonism; we have hosted the African Pastors' Conference on occasion; a conference conducted by De Verre Naasten of Zwolle, the Netherlands; and guests attending the Lausanne III Congress when it met in Cape Town. Or phone or email to discuss the most appropriate way to give. Donations can be sent via the Missions Board of the Free Church of Scotland. 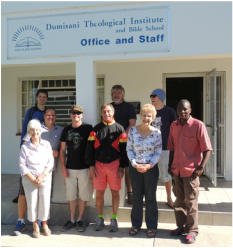 Gift Aid If you are a United Kingdom tax payer and choose to donate through the Free Church of Scotland, designating your gift for Dumisani Theological College, we can claim an extra 25p for each £1 you give. Gift Aid is a scheme that allows any charity to claim a refund of tax the donor has paid on the money donated. You must have paid, or will have paid, sufficient tax to cover your donation and that tax can be on income, investments, or on Savings and Building Society accounts or on capital gains. Please contact us by phone or email to discuss the best way of making your donation.